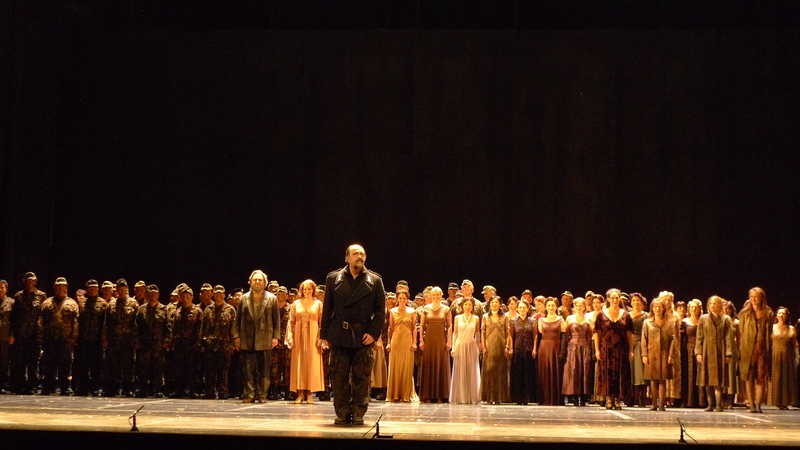 At the Shanghai Grand Theatre, 16 and 21 September 2010. Das Rheingold opened with the the famous low E flat – not as striking as sometimes as the orchestra, constrained by the pit, was a bit light on strings and especially on basses. Extras and chorus members walked with increasing speed (as the music sped up) across an industrial and other rubbish strewn river bed, tossing more litter behind them as they went. Alberich (looking a bit like Bill Hunter) found the gold in a water-filled tyre. Up to Valhalla: the rubbish-strewn river bed had been swiftly drawn away (probably on a large carpet, one of my companions suggested. Valhalla was a building site; the gods’ effects were stacked up ready to move in; building materials swung in various builders’ hoists and lifts on cables from the flies. Fasolt and Fafner arrived with orange-overall CFMEU-ish-clad entourage of workers. When Wotan (no suggestion of any missing eye) started to argue the toss, it was, like, “Right lads! All out!” Loge arrived on a bicycle looking like a cross between a butler and a von-Ribbentrop-sh commercial traveller (uniforms cast a slightly Berchtesgadenish atmosphere, consonant with the period of the dress). Wotan’s spear was a cane or possibly a putter; Donner wielded a golf club. There was some faint pretence of a descent from Valhalla through a trap-door at the end of the scene and Wotan and Loge climbed down ladders at the back corner of the set (you can just make them out at the back of my picture of Brünnhilde’s final bow) to Nibelheim in the next, which so far as scenery was concerned was almost entirely a matter of lighting. The anvil music was insipid and I wonder if there were any anvils. The treasure was in army-disposalsish looking crates. Alberich had the traditional gold netting tarnhelm; his transformation to a dragon called for more than the usual suspension of disbelief, though as a toad he was more convincing. Back in Valhalla, none of Alberich’s minions came up to deliver the treasure, despite express references in the libretto to this. The interplay between the giants and the gods (and Loge’s narrative, arousing their interest by its very quietness) was well done. Fasolt’s death was a sombre moment. Donner broke the thunderclouds with a golf stroke “Fore” and a once-again unimpressive clang; the gods changed into evening dress and waltzed to the Rhinemaiden’s lament. There was no serious suggestion of any rainbow bridge or ramparts. Two rather than six harps struggled to give the finale quite the sparkle I had hoped for. At the end of the first performance, I was mildly underwhelmed, though I was content to allow the concept more time to establish itself. From where I sat, all those busy violin figurations were slightly lost over the lip of the pit. Greer Grimsley didn’t seem fearsome enough to be Wotan and Carsten Süß as Loge felt undercharacterised. 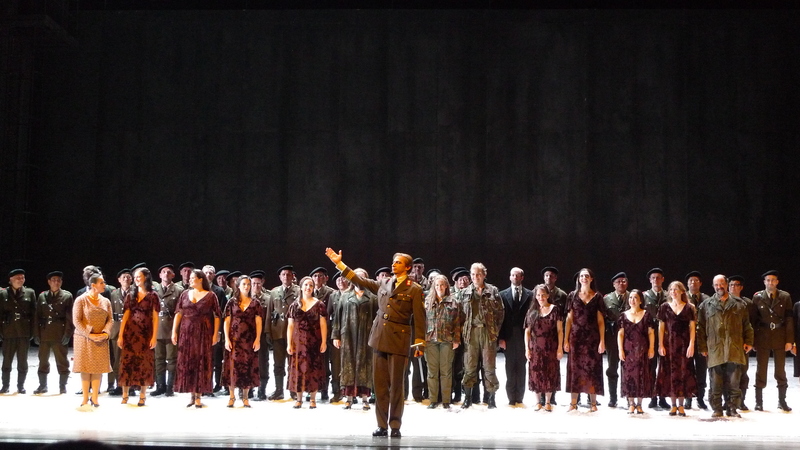 Weight-for-part, I thought the best singers were Martin Koch, a youngish Mime, and Samuel Youn, as Donner. Funnily enough, by the second time around I was quite reconciled to both Grimsley and Süß. Kurt Rydl, who has what one might as an Australian joke about as a Donald-Shanks-memorial wobble, was also a singer who had grown on me. For Götterdämmerung. Shanghai, 19 September 2010. Astrid Weber as Gutrune (also Sieglinde) [for some reason just a bit inclined to sing sharp when forte on g″ – a tendency quite particular to this note], Gunther (also Donner), Brünnhilde, Markus Stenz, conductor, Siegfried, Hagen, Dalia Schachter as Waltraute (also Fricka, first Norn). The same Siegfried (Lance Ryan) and Gutrune in this video of the same production. 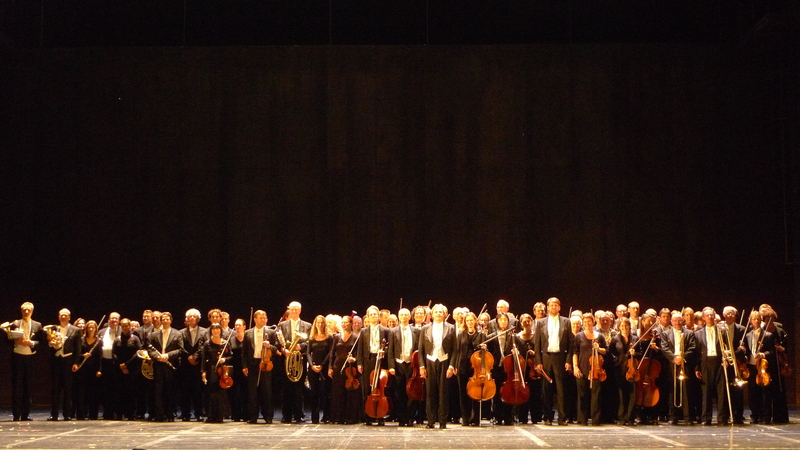 Below: Greer Grimsley and cast at end of Die Walküre, 17 September 2010. 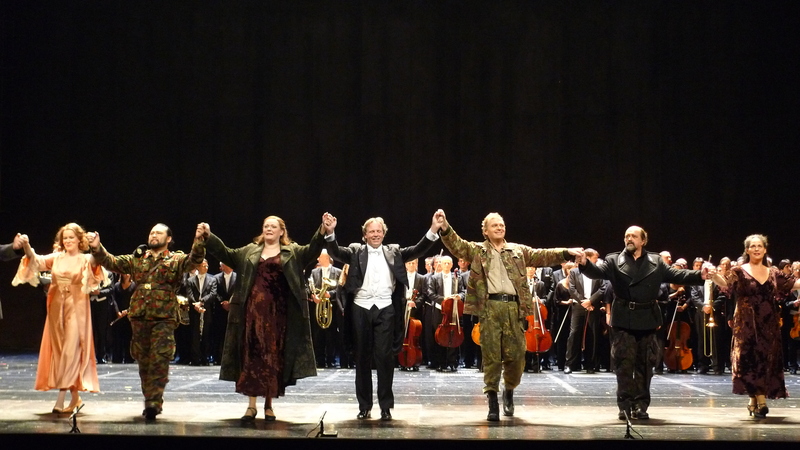 Lance Ryan here as Siegmund and Astrid Weber as Sieglinde (in pants) plus Fricka, the Walkyries (Br. obscured) and Rydl as Hunding. Kurt Rydl, Cologne/Shanghai/2010. He also sang Fasolt and Hunding. 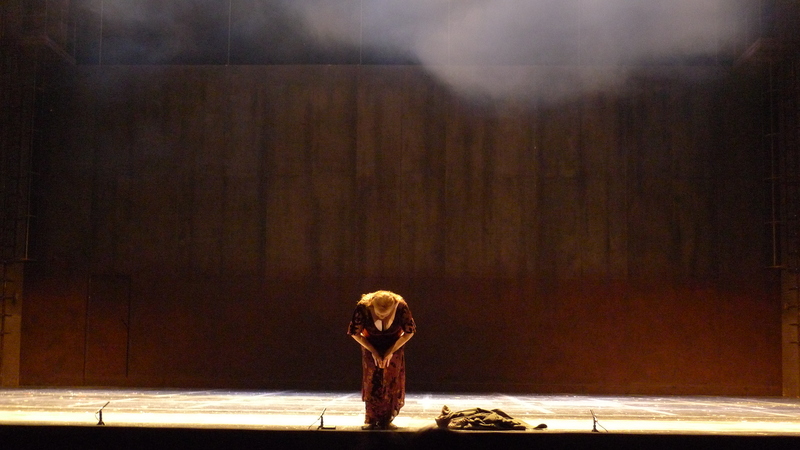 Catherine Foster, last night of Götterdämmerung, first cycle, Cologne/Shanghai/2010. She was better than she is in this video, from the Deutsches Nationaltheater, Weimar (where, incidentally, I long ago [1992 or 1995, when staying nearby in Thuringen] saw productions of Parsifal [choir invisible] and Moses und Aaron [enormous choir; joint production with Leipzig opera]) in 2008. She is a still youngish singer whose star is at present, I would say, in the ascendant. That is, she is still getting better. She improved, at least in terms of stage mannerisms (an eventually lost faux-girlish hand to the head in vestigial immitation of a girlish hair flick, probably intended to signify virginity, one way or another), in the course of these two cycles. You are currently browsing the archives for the Wagner Ring Shanghai 2010 category.